The text was originally in five stanzas, although many hymnals now delete the fifth stanza. Stanzas 1-3 are from Montgomery's text, which was inspired by the Christmas stories in Luke 2 and Matthew 2. Stanza 4 comes from another Montgomery carol inspired by Philippians 2. Stanza 5 is a doxology (not written by Montgomery) from the Salisbury Hymn Book (1857). Long before his birth, Jesus was promised, and thus he became “the great desire of nations” (stanza 3). When he came, he did as foretold by “gathering all nations to him” (stanza 4). 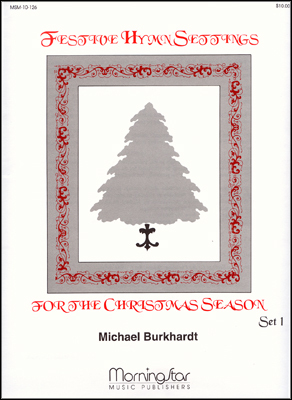 This Christmas hymn concludes with a Trinitarian doxology, a reflection of the perspective found in Heidelberg Catechism, Lord’s Day 12, Question and Answer 31 that all three persons of the Trinity are involved in the birth of the newborn King. Christ is ordained by God the Father and anointed with the Holy Spirit. All who come from near and far, come and worship. All who thirst for God, come and worship. All whose hearts overflow with gratitude and hope, come and worship. All whose hearts may be filled with despair or grief, come and worship. All who come with doubts or questions about life in Jesus, come and worship. come, worship Christ, the newborn King. A writer of many Christian hymns, James Montgomery composed this Christmas and Epiphany text and published it on Christmas Eve, 1816, in the Sheffield Iris, a newspaper he edited. Montgomery based the text in part on the French carol "Angels We Have Heard on High"; it was sung to that tune for over fifty years. Entitling it "Good Tidings of Great Joy to All People," Montgomery republished the text with small alterations in his Christian Psalmist (1825). The text was originally in five stanzas, although many hymnals now delete the fifth stanza. However, Lift Up Your Hearts includes all five stanzas. Stanzas 1-3 are from Montgomery's text, which was inspired by the Christmas stories in Luke 2 and Matthew 2. Stanza 4 comes from another Montgomery carol inspired by Philippians 2. Stanza 5 is a doxology (not written by Montgomery) from the Salisbury Hymn Book (1857). Henry T. Smart composed REGENT SQUARE for the Horatius Bonar doxology "Glory be to God the Father." 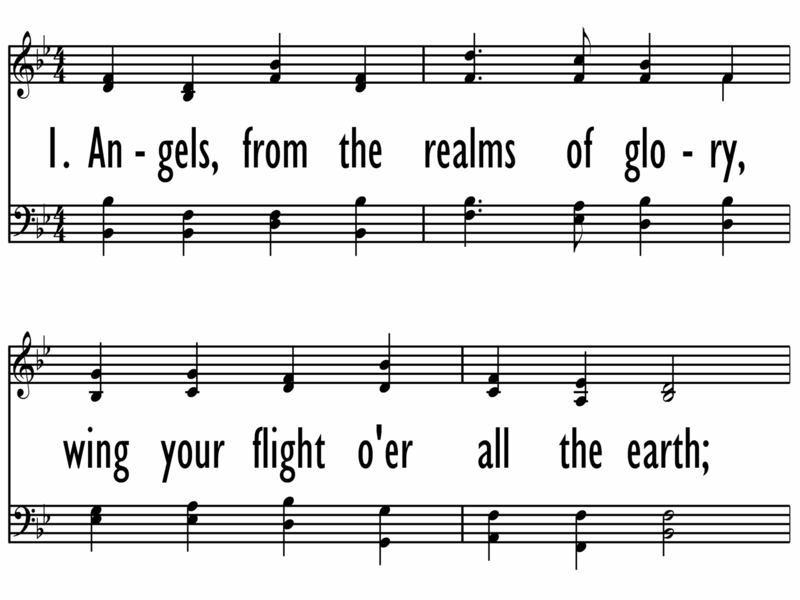 The tune was first published in the English Presbyterian Church's Psalms and Hymns for Divine Worship (1867), of which Smart was music editor. Because the text editor of that hymnal, James Hamilton, was minister of the Regent Square Church, the "Presbyterian cathedral" of London, the tune was given this title. REGENT SQUARE is a splendid tune with lots of lift and some repeated phrases. For variety, try having small groups sing stanzas 1-3, with all on the refrains; stanza 4 sung by all in harmony; and stanza 5 in unison, perhaps with an alternative accompaniment. James Montgomery (b. Irvine, Ayrshire, Scotland, 1771; d. Sheffield, Yorkshire, England, 1854), the son of Moravian parents who died on a West Indies mission field while he was in boarding school, Montgomery inherited a strong religious bent, a passion for missions, and an independent mind. He was editor of the Sheffield Iris (1796-1827), a newspaper that sometimes espoused radical causes. Montgomery was imprisoned briefly when he printed a song that celebrated the fall of the Bastille and again when he described a riot in Sheffield that reflected unfavorably on a military commander. He also protested against slavery, the lot of boy chimney sweeps, and lotteries. Associated with Christians of various persuasions, Montgomery supported missions and the British Bible Society. He published eleven volumes of poetry, mainly his own, and at least four hundred hymns. Some critics judge his hymn texts to be equal in quality to those of Isaac Watts and Charles Wesley . Many were published in Thomas Cotterill's Selection of Psalms and Hymns (1819 edition) and in Montgomery's own Songs of Zion (1822), Christian Psalmist (1825), and Original Hymns (1853). The tune, REGENT SQUARE was composed by Henry Smart (b. Marylebone, London, England, 1813; d. Hampstead, London, 1879), a capable composer of church music who wrote some very fine hymn tunes (REGENT SQUARE, 354, is the best-known). Smart gave up a career in the legal profession for one in music. Although largely self taught, he became proficient in organ playing and composition, and he was a music teacher and critic. Organist in a number of London churches, including St. Luke's, Old Street (1844-1864), and St. Pancras (1864-1869), Smart was famous for his extemporiza­tions and for his accompaniment of congregational singing. He became completely blind at the age of fifty-two, but his remarkable memory enabled him to continue playing the organ. Fascinated by organs as a youth, Smart designed organs for impor­tant places such as St. Andrew Hall in Glasgow and the Town Hall in Leeds. He composed an opera, oratorios, part-songs, some instrumental music, and many hymn tunes, as well as a large number of works for organ and choir. He edited the Choralebook (1858), the English Presbyterian Psalms and Hymns for Divine Worship (1867), and the Scottish Presbyterian Hymnal (1875). 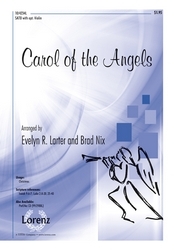 Some of his hymn tunes were first published in Hymns Ancient and Modern (1861).